You might think that having a distinctive accent will play havoc with in-car technology. Ford has other ideas. After linking up with Nuance, Ford's Sync is now able to understand a range of accents from Liverpudlian English to Bavarian German and all the driver has to do is say a few words for their personal accent to be recognised forever. Ford Sync is already available in some 12 million vehicles worldwide and it offers 17 different language versions with dictionaries that include alternative pronunciations of words built by researchers in each territory. In the case of the UK, researchers recorded the voices of drivers in cities across the country including London, Liverpool and Newcastle. They were given a common greeting, paragraphs and numbers to recite before it was all fed into the system. That is just the tip of the iceberg though. Researchers also travelled across the length and breadth of the United States and recorded the voices of 2,000 people in China in order to make the service as well rounded as possible. 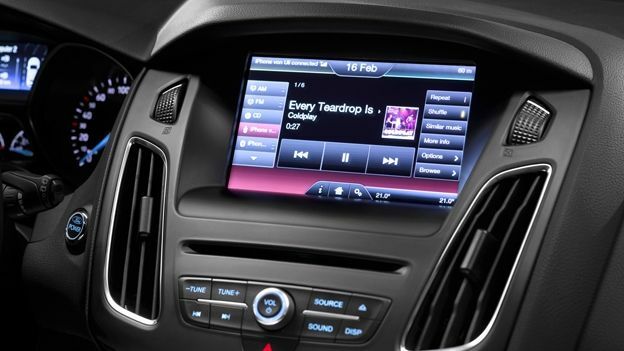 Ford has been at the forefront of in-car tech after it launched Ford Sync back in 2012. From there it has brought a range of semi-autonomous gadgets to its cars and has seen a huge uptake in those innovations in the European market. The Sync technology, in particular, is already in 78% of vehicles and adding the regional variances will make it even more popular.